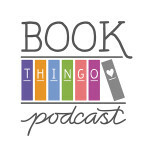 In Literary fiction, Reviews, Romantic elements. This fable about following your heart works wonders as a palate cleanser when you're in the reading doldrums. A beautifully narrated tale of heartbreak, heartache and love. This fable about following your heart works wonders as a palate cleanser when you’re in the reading doldrums. 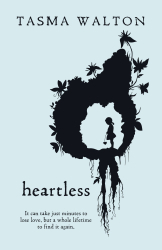 I finally picked up Heartless after going through a bit of a reading slogfest, and it was perfect timing. I read it in less than a day and was left enchanted by Walton’s narrative voice. The heroine, who narrates her story in the first person, is never named in the book. Her story unfolds as snapshots of her life every seven years. At seven, she has ‘a big, loud, red, dancing heart’, and it’s impossible not to be charmed by this exuberant, quirky girl with an imaginary friend and an irrepressible spirit. But it’s not long before her heart endures the first of many sorrows. The girl witnesses her father’s betrayal and its devastating effect on her family. Over the years, she suffers the trauma of emotional neglect and physical abuse, refusing to listen to her heart and therefore unable to embrace the love freely offered to her. Walton delves into some dark themes in the book—sexual assault, domestic violence—and less furious but no less damaging incidents where innocence is lost and self-doubt festers. Walton wields her words well to navigate these scenes, and some of them are very powerful without being graphic. My heart barely beats the whole time, bits of her turning into cold stone. Silent and subdued and resenting and ashamed. Always ashamed. I write in my diary about my heart’s shame. About how my heart will punish me now. How she will ache not just in the night-time now, but every minute of every hour of every day just to spite me. How her shame pulses round my body and lodges in my shoulders and makes me walk around stooped with the weight of it. And how I wish, how I wish, how I wish, that she was not mine. That I did not have a heart at all. That I was heartless. By contrast, the more uplifting prose towards the end of the book begins to feel trite. While I loved reading about the heroine’s heart and her imaginary friend at seven, Walton loses quite a bit of subtlety around the heroine’s mid-30s. And although I was glad to discover to whom she eventually gives her heart, I was disappointed at the way some aspects of her past were resolved. The story also hits two of my pet peeves: the protagonist who wants to be or becomes a writer, and the woman who is instantly changed when she has a baby. The former irked me all throughout the novel. This is a beautifully narrated tale of heartbreak, heartache and love. It’s a fairly easy read, and even though there are some brutal scenes, Walton dwells less on the actual violence than on its impact on the heart and spirit of the story’s protagonist. Heartless is an excellent debut novel and, for me, a much-needed palate cleanser. It reminded me of why I love discovering new authors and, of course, reading about matters of the heart. This book is published by the University of Queensland Press. If you’re wondering why Walton, who many would consider a celebrity author, decided to go with a small publisher, The Age has an interesting account of how Heartless got published (about halfway down the page). 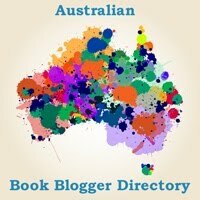 Tagged 2009 releases, australian authors, tasma walton.